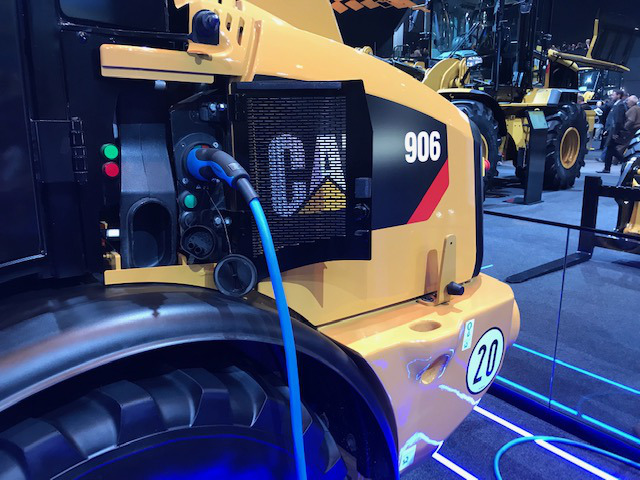 Equipmentworld.com is a news and e-commerce website for construction contractors, construction equipment manufacturers and dealers, and providers of services and supplies to the heavy construction equipment industry. 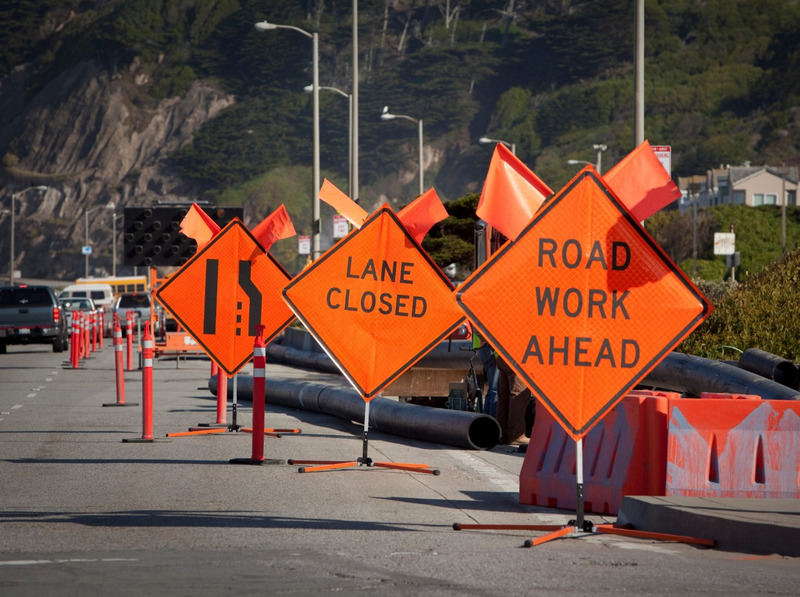 Our Daily Newsletter provides up-to-date news and information related to the construction industry. 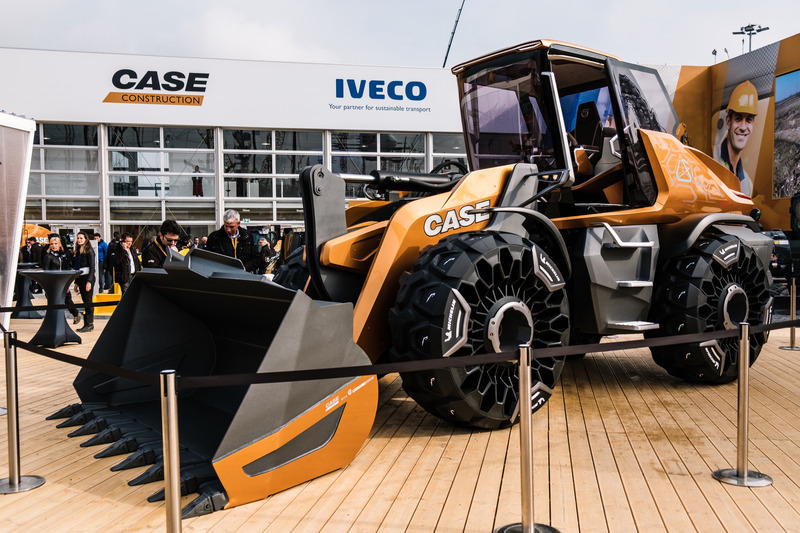 The articles cover industry news, important projects, business tips and great videos of construction equipment in action. 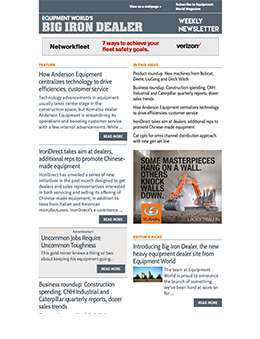 The new Big Iron Dealer newsletter and department on EquipmentWorld.com will feature news and information developed by Equipment World editors to help readers manage their businesses more effectively, along with detailed analysis of equipment buying and selling trends. 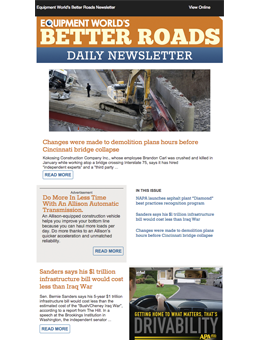 Our Daily Better Roads Newsletter provides up-to-date news and information related to construction contractors and government agencies involved in Federal, State, County, City and Township highway, road and bridge construction, winter maintenance, roadside and vegetation management and other highway-related projects. 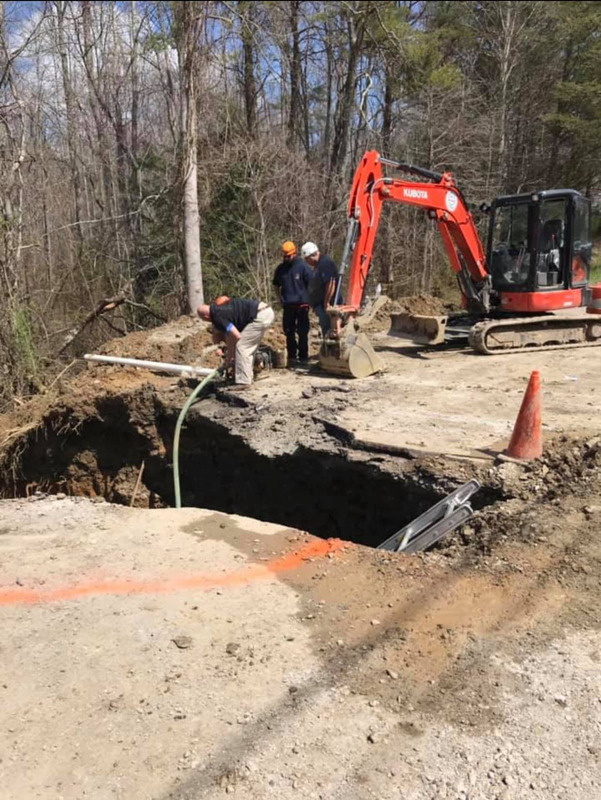 Qualified contractors are eligible for a free subscription to the print edition of Equipment World magazine. 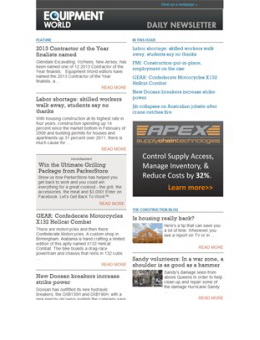 For print subscription inquiries, please email equipmentworld@omeda.com. 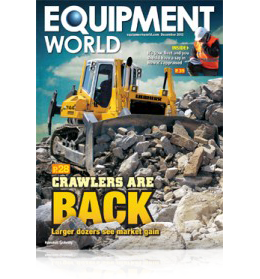 On your desk or on the go, Equipment World’s Digital Edition is available for you online and on your mobile. 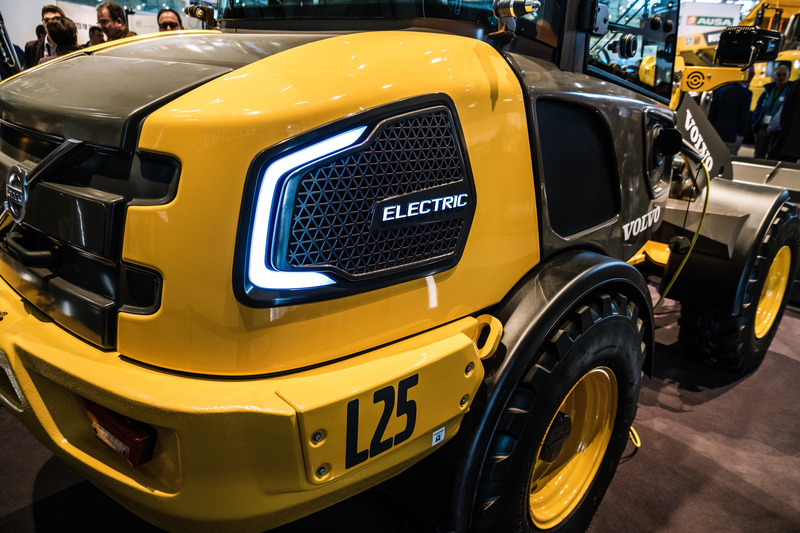 Flip through your favorite Equipment World issues with crystal clear images, share articles your friends, view videos and click through to websites in advertisements.